We had a fantastic evening with crime writer Ann Cleeves at Mostly Books on Wednesday (report coming, honest) - and we thought - after a wonderful exploration of crime fiction, here are three of our current favourite crime fiction titles for our 3 4 Friday #FridayReads. 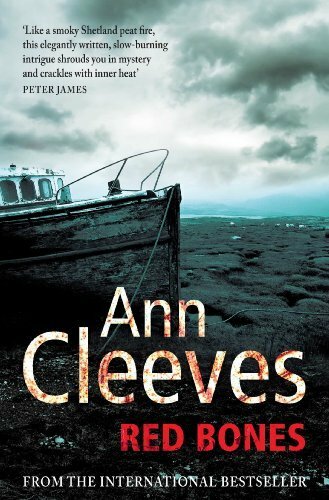 This is what Nicki has to say about Ann Cleeves: "As well as being able to weave a first-rate mystery, her cast of characters are well-drawn. My favourite series is definitely the Shetland series, because the sense of place is so strong. The atmosphere of somewhere that is so claustrophobic, so remote, often cut off, and where families know so much about each other’s secrets that don’t die even with one generation. It is a great spin on the more traditional closed ‘country house murder’, and works on a number of levels. But at the heart these are great for anyone who loves a solid mystery plot with lashings of atmosphere." In honour of Ann's passion for translated crime fiction (which she communicated very effectively to the audience on Wednesday) we've chosen a book by Camilla Läckberg - and translated particularly well by Steven Murray. 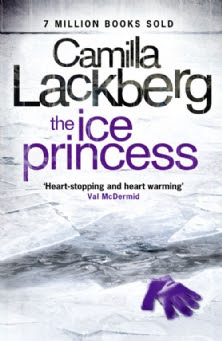 Here's what Ellie has to say about the first in her crime series, 'The Ice Princess'. "Set in a small fishing village in Sweden (Fjällbacka), the finding of the body of local woman Alex is the start of a series of events that threaten to uncover some dark secrets not only in her past, but in those of some other residents who would prefer them to remain buried. The small community is well depicted with their 'twitching curtains' and it was an enjoyable light crime story with very satisfying twists and turns, bringing the reader to a surprising end. It's a great start to the series, and for Scandi-crime fans - Läckberg is a good choice for those looking for something less gory than Larson or Nesbo but love the atmospheric settings of these stories." 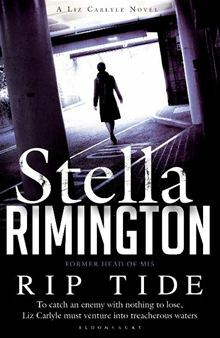 Finally we've selected Stella Rimington's 'Rip Tide'. Rimington writes a powerful story of covert spy operations with great attention to the details of present day intelligence work. Exploring the issues of piracy off the Horn of Africa as well as the global spread of Muslim extremism, the story moves along at great pace with Rimington's protagonist Liz Carlyle involved in some serious spy action.